We’re still moving forward on our film prep but we don’t have any major announcements, yet. We couldn’t figure out if these were for New Years or if they are regularly here. 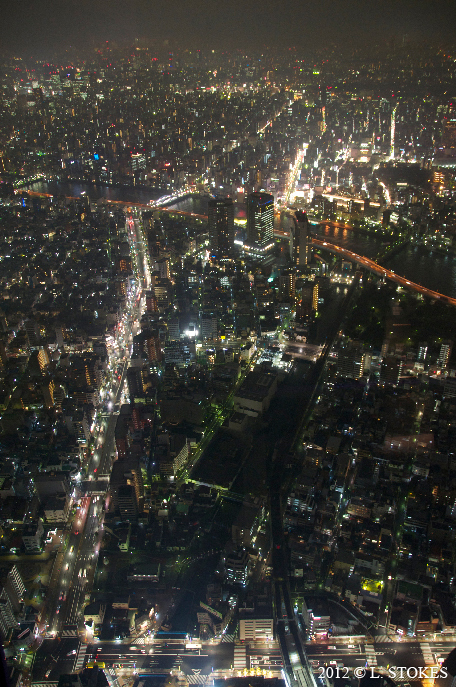 The base of the Tokyo Skytree is a shopping mall filled with restaurants, souvenir shops, and a planetarium. 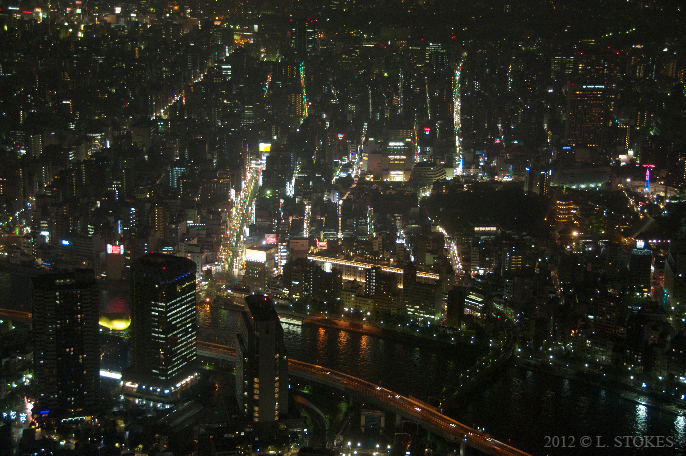 What was also nice is that the subway stops right below the Tokyo Skytree as well. All you need to do is take the escalators up! There was a restaurant called the “World Beer Museum” that I wanted to try but the line was just way too long. I’m no Carl Sagan but the planetarium left me feeling a little cheated. There were a barrage of advertisements before the actual show started. Then, when it actually did start most of it consisted of looking at constellations (which we did enjoy but also thought there would be more to it). 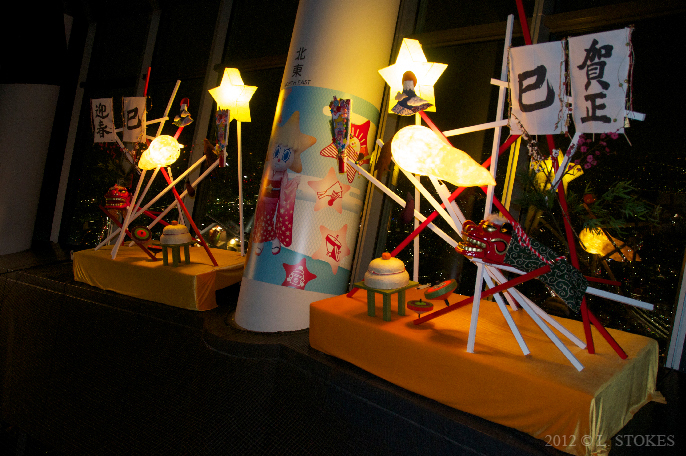 Outside of the Japanese I could understand, you basically stare at some projected stars while they play music with lyrics about love and the night sky. If you’re a teenager, bring your girl friend so you can hold hands and make out. Considering the admission fee, we were a little disappointed but can cross it off our list. 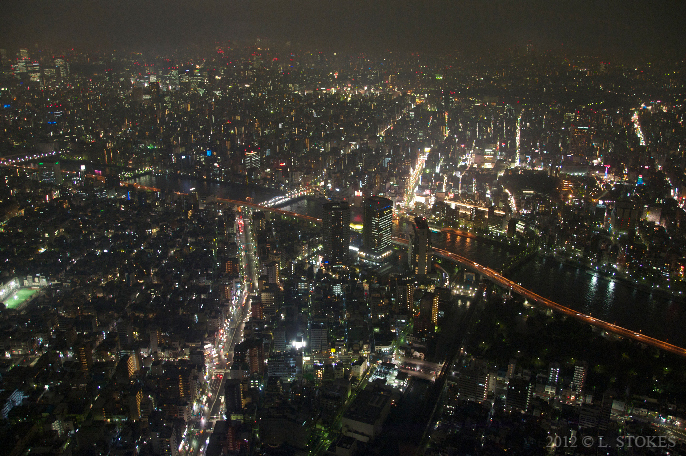 The view is truly amazing from the top floor of the Tokyo Skytree and I’d love to go back on a clear sunny day but not any time soon. 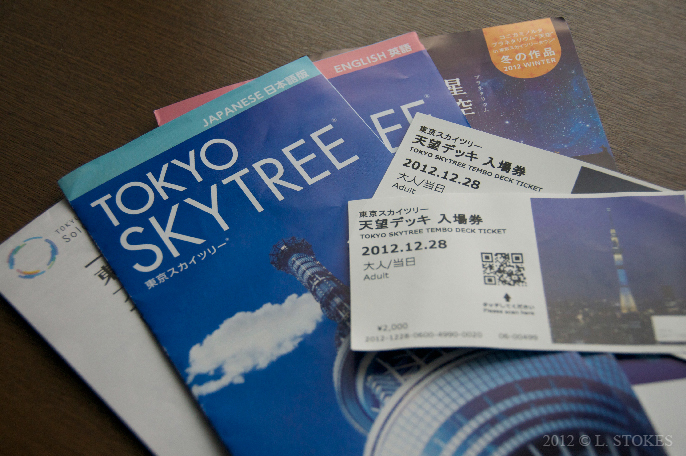 Just to get out of Yokosuka (okay, we went on a date…) and see the new Tokyo Skytree, we made a break for uh, …Tokyo. It was a two hour subway ride north, one way, but it was worth it. After seeing the Tokyo Skytree (pics next blog) we jumped back on the subway to grab dinner here. I was unaware that Brazil has a very large Japanese community. After World War II, Japanese people not only immigrated to Hawaii and the US, but also Brazil. That has almost nothing to do with us going to this restaurant but I thought I’d throw that out there. 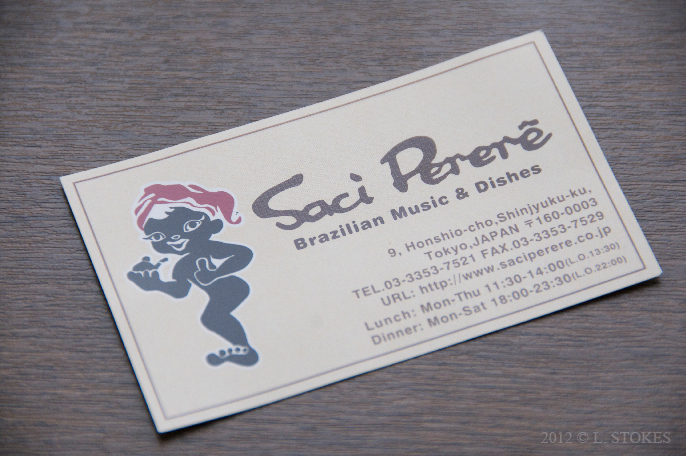 We actually went to this place because I was hungry and the Misses wanted to dance to Samba music. If you’re a non-smoker, like me, be fore-warned. Most places in Japan still allow smoking inside. I was irritated at first (because,of course, we sat next to the one guy who smokes like a chimney) but I had a couple mixed drinks and a beer and got over it. I mean, how often do you see Japanese business men trying to dance Samba? In the mean time I thought I’d show you some more pics of Japan. My sister-in-law has been house hunting over the last few months so we tagged along to check out a couple of places with her. One of the places she has been looking at is in Oppama (O-pah-mah). Oppama is about ten or fifteen minutes north of Yokosuka still in the Kanagawa Prefecture. We visited two different sites that day. Typical Japanese homes are small indeed and I noticed (and was later told) that typically a kitchen will have a stove top but NO oven. Thinking about all the dishes my wife typically cooks. Usually, no baking is involved. 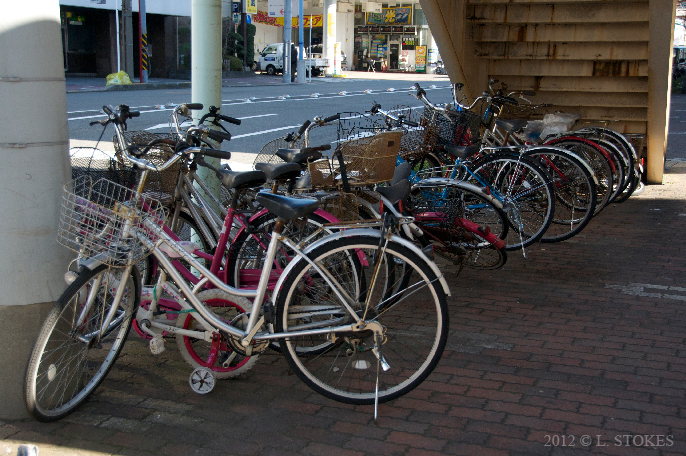 Motorcycles and Bicycles are used everywhere! 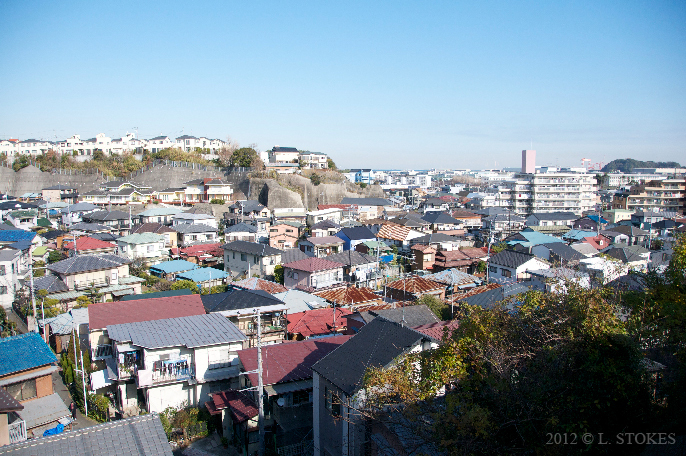 Oppama is your typical sleepy Japanese neighborhood. There aren’t many foreigners around but it’s still close enough to the US Naval base in Yokosuka to minimize the staring. If they stare, do what I do. Most of the time they smile and bow in return. Spent the holiday seeing some family in the land of the rising sun. On our way out of the Shrine… I love Japanese lanterns at night. 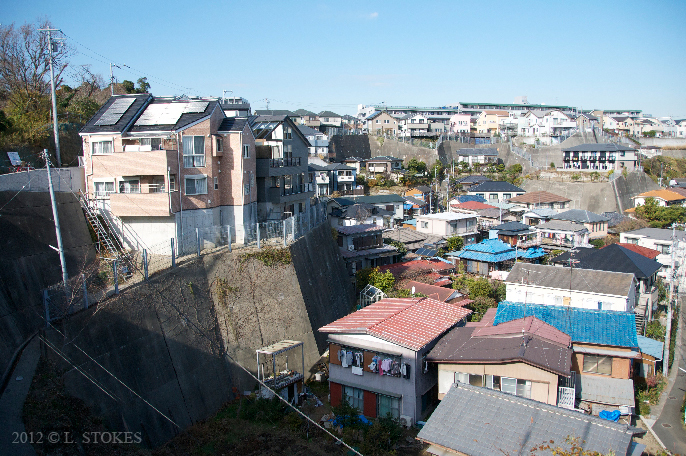 Yokosuka is a small city thirty minutes south of Yokohama and about an hour or so south of Tokyo. Kamakura is pretty close as well. There’s a US Navy base here also and sometimes, unfortunately, they (enlisted men) do cause problems but don’t let that stop you from enjoying the local eats and what not. Just use your common sense and be polite. Saw this… whatever it is, thing. Yokosuka is a small town but beautiful town. Author hikikomori78Posted on January 1, 2013 January 1, 2013 Categories FilmTags actress, american, dogs, gift, hikikomori, Hollywood, independent, isolation, japanese, LA Eiga Fest, loneliness movie, New Year, puppy, short film, tenuguiLeave a comment on To Fresh Beginnings…!